DIY crafts are such an easy way to express your personality to other people. These articles are like a painting, which expresses the artist’s point of view on a subject. The items that you create on your own may end up being your most prized possessions. This is because; only you know the time spent on it and the memories’ made through the effort put in those crafts. Not everything that you create has to be a masterpiece, but the work you have put in is going to matter. Mugs are the most mainstream articles that can be customized to your liking. You may put your own pictures or the one that you like the most. You can have a name, a quote or even a wish printed on it. Some even go as far as to have magic mugs which only display their content when they are filled with hot liquid. 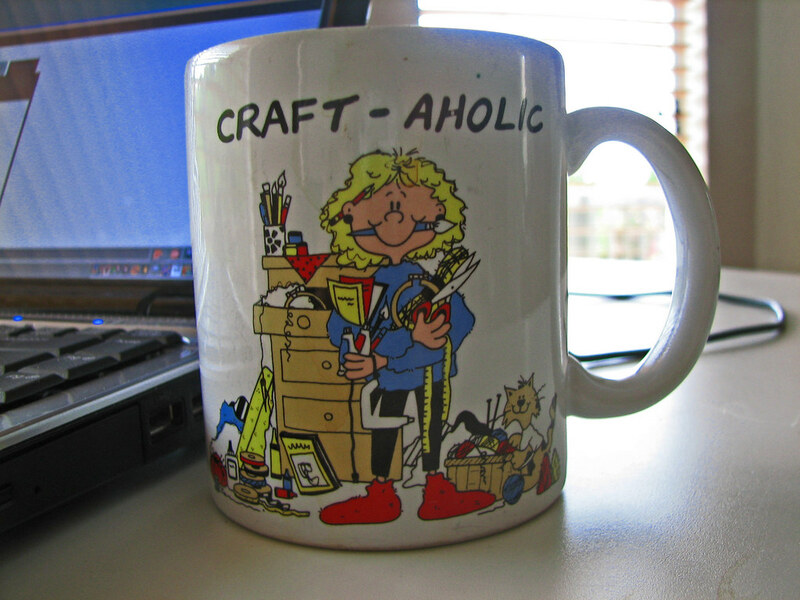 But it is even better to have a mug that has been personally customized by you. It can be a fun time that you spend with your family or friends as well. You will be making memories as you create the mug you desire. Here are 10 different ideas that you can implement to personalize your mugs yourself. Treat a blank mug as your blank canvas and paint something that inspires you or soothes you. So that when you are sipping your hot morning coffee you won’t just be treating your taste buds and your nose with coffee, but also your sight, by the beautiful visuals that you have painted on a mug. Any paint brush will do fine with the mugs. To paint a mug you cannot use water colors or poster colors. You need china paint, which is specifically made to stick to ceramic or porcelain items. It is also crucial to point out that if you are planning to use the mug regularly to drink from and not just as a piece of decoration, then do not use a “mug painting” kit. This kit only provides you with paint which can be erased with a few washes and is only meant for show. If you don’t fancy painting then this is the craft for you to do. All you need is a good “paint marker” which will not fade away easily; it works the same way as any marker. It is best that you use these markers instead of permanent ones, as the permanent markers tend to fade away quickly. Try practicing what you want to write on a paper. Select a font that you think is appropriate with the text then finally write on the mug. You must keep rubbing alcohol by your side as to erase any mistakes. These mugs can also be a great gift to someone for their birthday, or the holidays or any other celebrations. You could be writing your favorite inspirational quote on the mug, or wishing someone through this mug, or even promoting a brand through mug branding, this could be the perfect way to do it. If you feel like you do not have the proper skills for writing beautifully or painting then this one could do the job for you. All you need for this craft is a stencil, your choice of spray paints and a glass scraper and pick set. The pick set will help you remove any extra color and make your work neater. You may use any color but make sure that are compatible with porcelain and does not fade. Make sure to give the paint at least 2 weeks to rest before you start using the mug. The easiest form of drawing that you can do is make a random pattern. They could be circles within a circle, a starburst pattern, straight lines or triangles placed alongside each other. You may not even need a brush to make a pattern but instead use tube paints to make the look and even give it a 3d effect. You can apply paint by squeezing it out of the tube onto the mug surface. Shape the squeezed paint the way you want and move on to the next point. When you are done, leave the mug to dry in cool air. After 24 hours, bake it in the oven so that it doesn’t wash away after cleaning. The bake instructions can be usually found on the paint container that you have used. This one is more for show than for usage, but a glitter is a great way to decorate a mug. You may be able to use it and wash it, but it won’t be long lasting. Here is how you can decorate mug with glitter. All you need is decoupage water glue, glitter and masking tape. Paste the masking tape on the mug as such that it makes an outline of your desired shape or pattern. Fill the empty space of the outline with the glue and then pour glitter over it. Take out the tape and remove any excess glitter by hand which may have stuck here and there in the process. Keep the mug to dry on its own for at least 10 days. Then wash off the surface. Your mug will be a perfect for display. These mug ideas are your perfect time pass. They mix creativity and fun. All these methods are easy and are even safe for kids. So it could be your very own artwork or your kid’s creation that makes your ordinary coffee mug look all the more special. Barney Whistance is a passionate Finance and Lifestyle blogger who loves to write about prevailing trends. You can find him using Twitter and LinkedIn. Tired of tossing heaps of paper into the trash throughout the school year? Equally tired of telling your toddler over and over that scribbling in the older kid's workbooks is a no-no? Perhaps you need a greener and more practical way to do things. Enter the green-freak/veteran homeschool supermom. Yeah, that's me - go ahead and laugh until you try my solutions. They really work! Homemade reusable workbooks can save lots of time, paper, money, and frustration throughout the years. 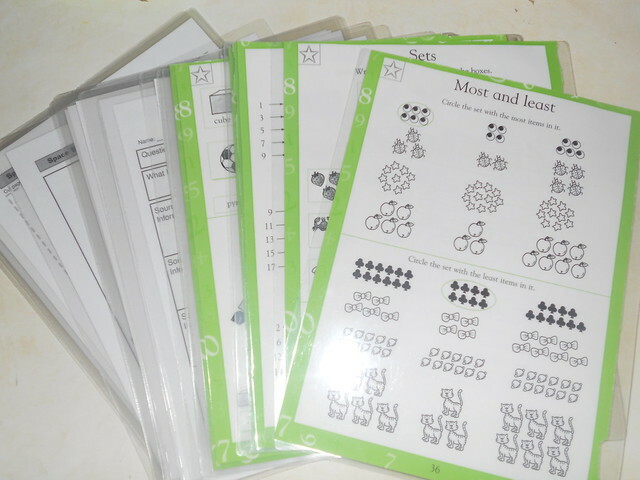 To make reusable homeschool workbooks, you'll need a laminating machine and laminating sheets, workbooks and/or loose worksheets, a hole puncher (three-ring works best), and a three-ring binder. For the kids to use them, you'll also need some earth-friendly wipe-off markers. If you are starting with workbooks, tear the sheets out so that they are loose. For organization, you can create reusable workbooks that are in order by grade level and subject. Use an eco-friendly permanent marker to mark the outside of the binders. Laminate each sheet individually. If you do not have the patience to do this, many office stores actually offer this service for free or at a discount on a certain day each year. It's generally near the start of the school year. Otherwise, they do charge a fee. But if you have a good number of worksheets to laminate, the fee may be worth it. Once all the sheets are laminated, punch holes in them so that they will go neatly into the binders. Then, put them in the appropriate binders. Wipe of worksheets are great for going back to correct errors. If a student needs more time with a certain concept, you do not need to keep purchasing workbooks. Just wipe off and practice over and over. Also, if you have more than one homeschool student, you will only need to purchase or print workbooks and worksheets once. They can passed down to each child as they reach those levels. Also, by creating a reusable workbook, you are saving all that paper from going into the landfills. The plastic lamination may not be earth-friendly. But it will create an item that can last years and years, which is better for the environment than throwing piles and piles of paper and workbooks into the trash. When kids outgrow their workbooks, create more and pass on the other ones to your other kids. If you have no other kids, give them to a friend or relative. It also would be a good idea to sell them and raise money for your homeschool. You may also donate them to a child in need. Homeless shelters and other family centered outreach programs can always use learning materials for the kids. Try contacting your local Covenant House, Red Cross, or Salvation Army to find out where you can donate them. If none of those are in your area, try contacting United Way.